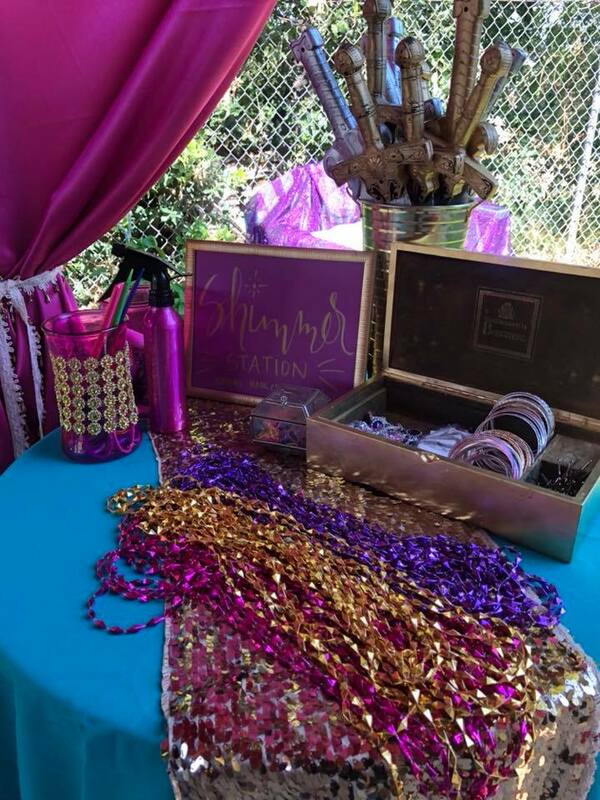 What little girl doesn't love to SHIMMER & SHINE? 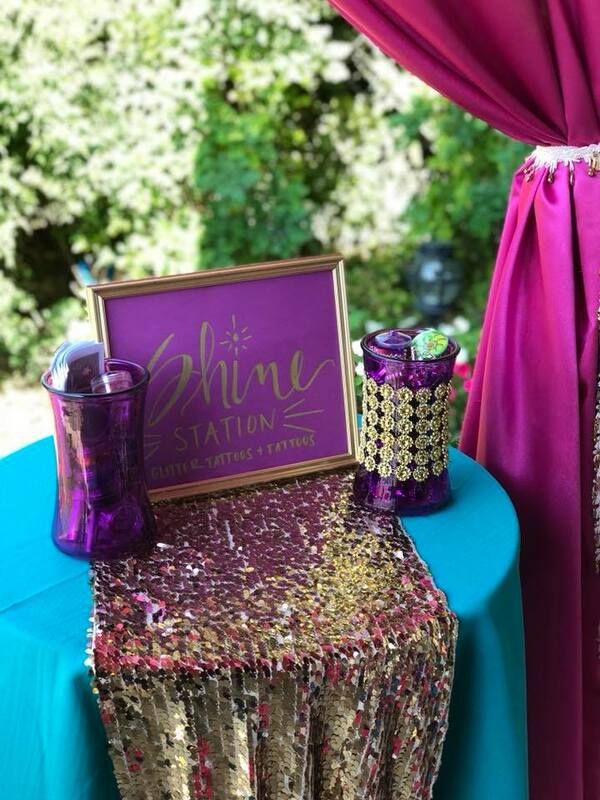 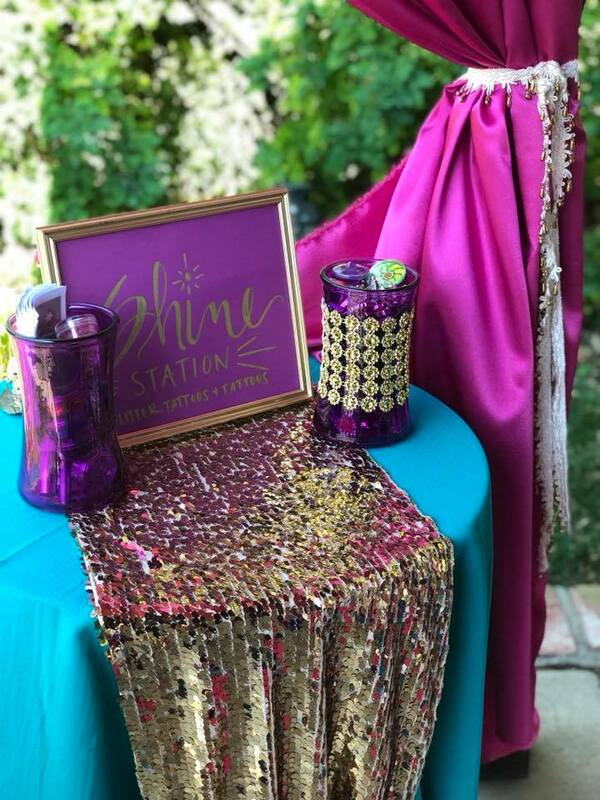 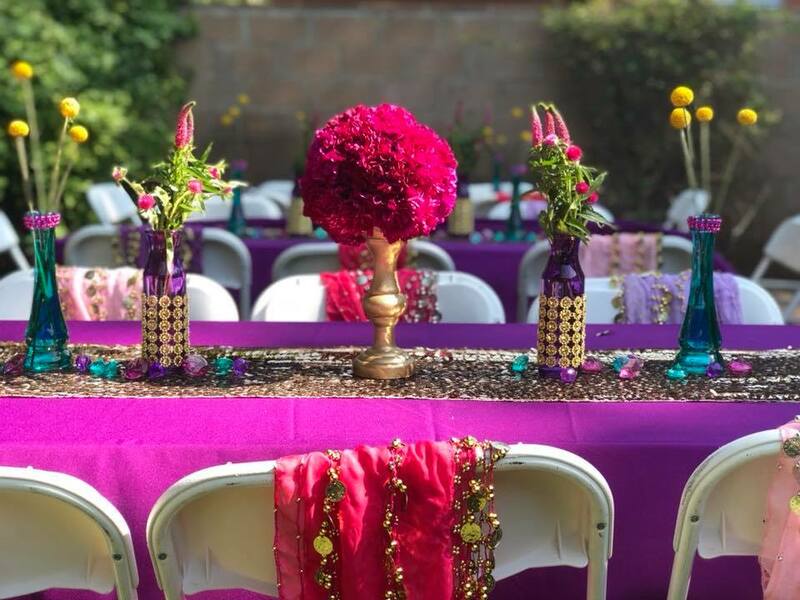 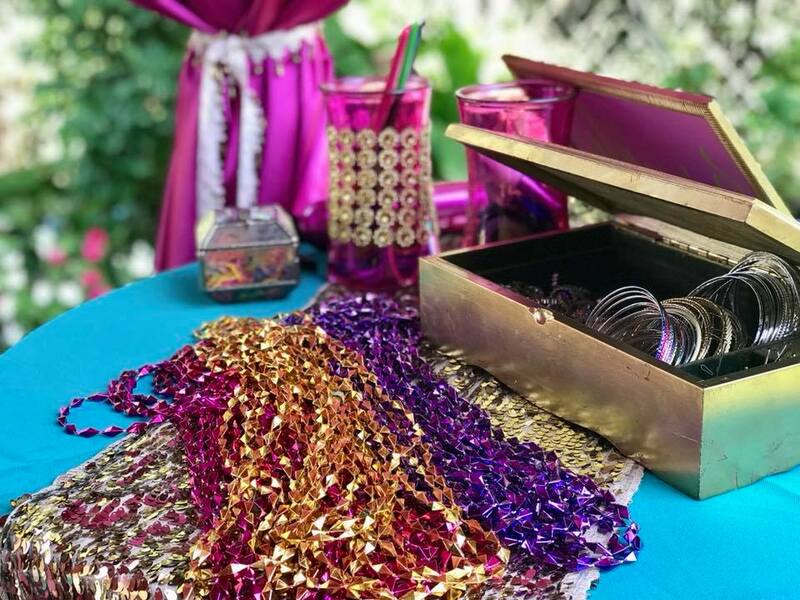 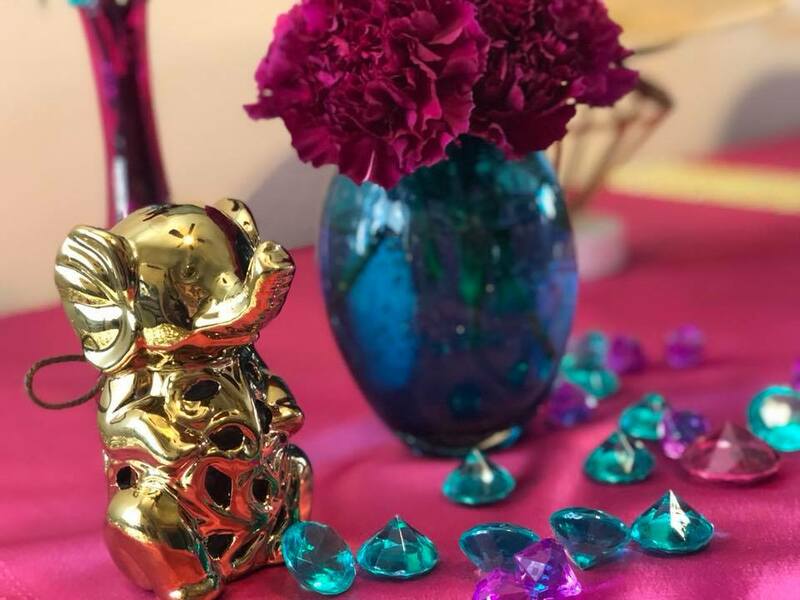 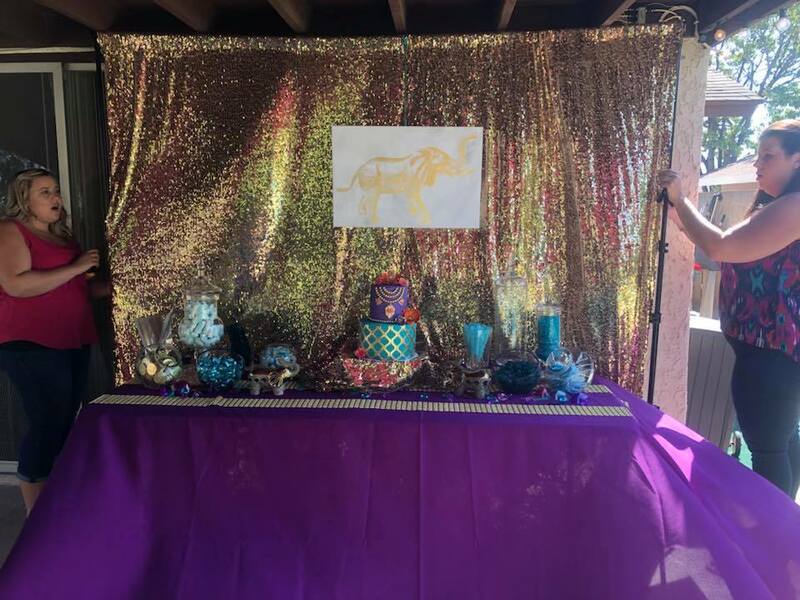 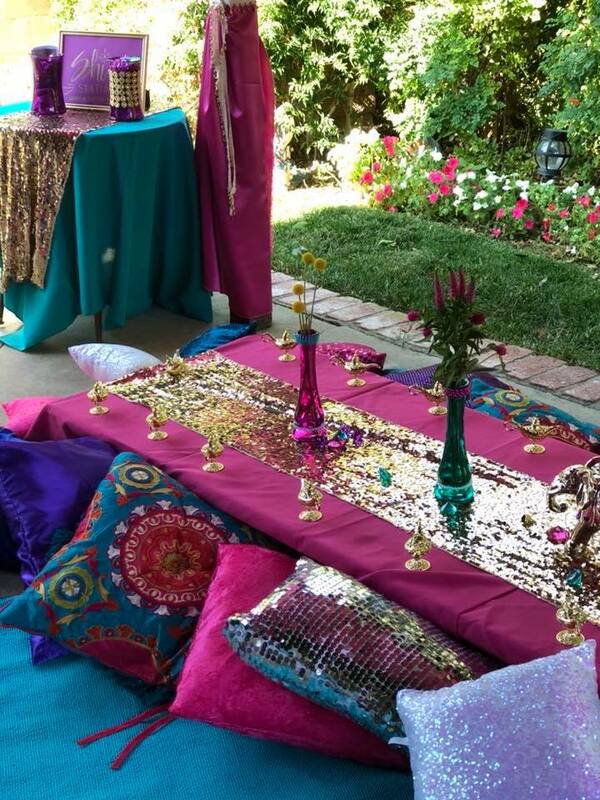 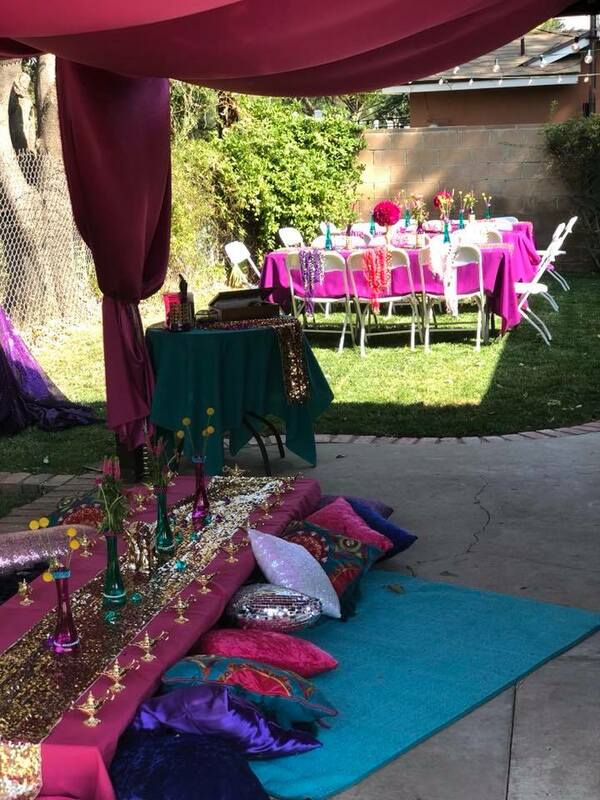 My daughter wanted a character party and I wanted something super girly so our compromise was this colorful and vibrant Shimmer & Shine party! 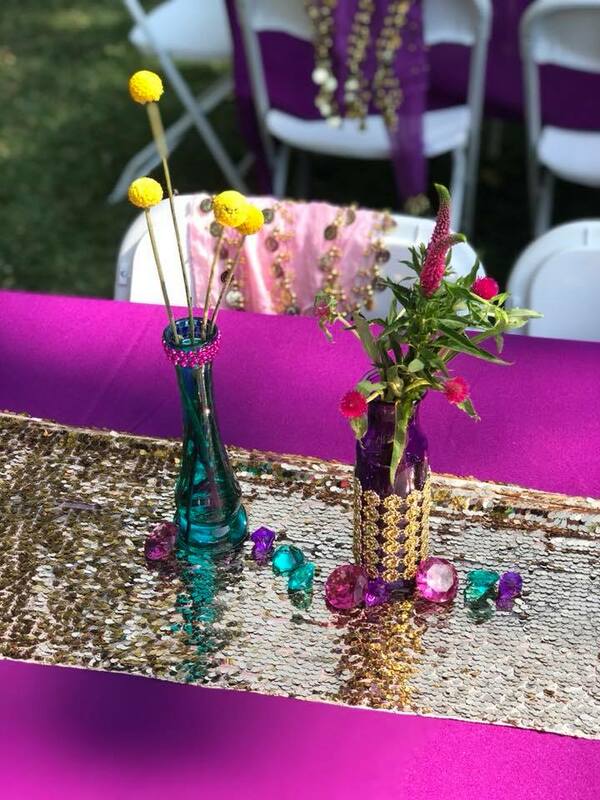 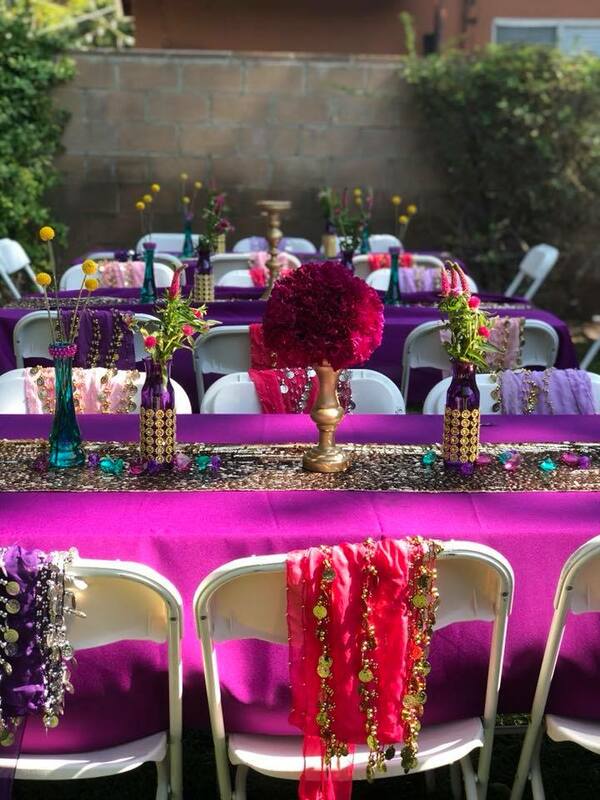 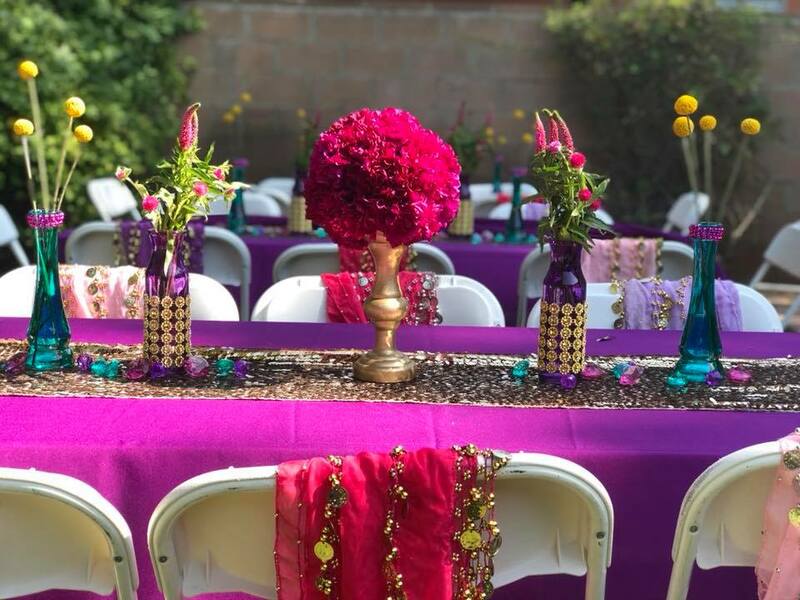 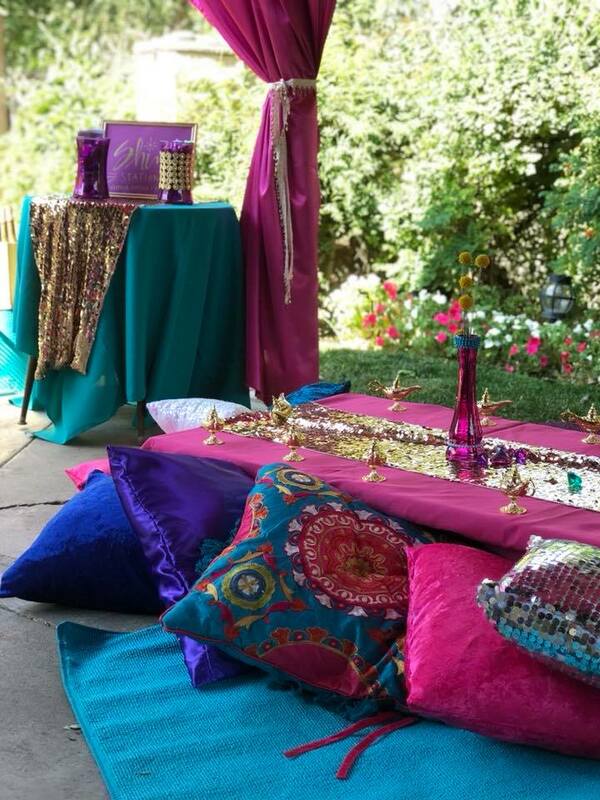 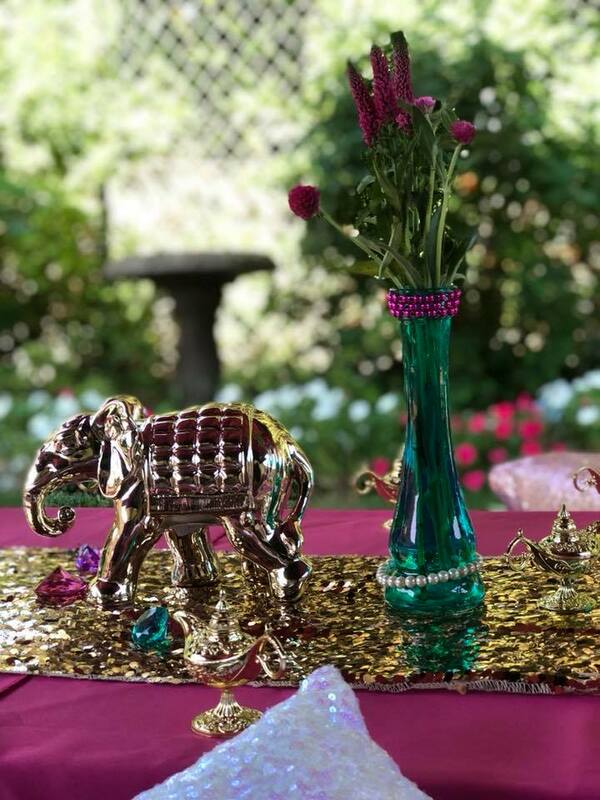 We loved all of the bold colors and the spaces were dripping with jewels! 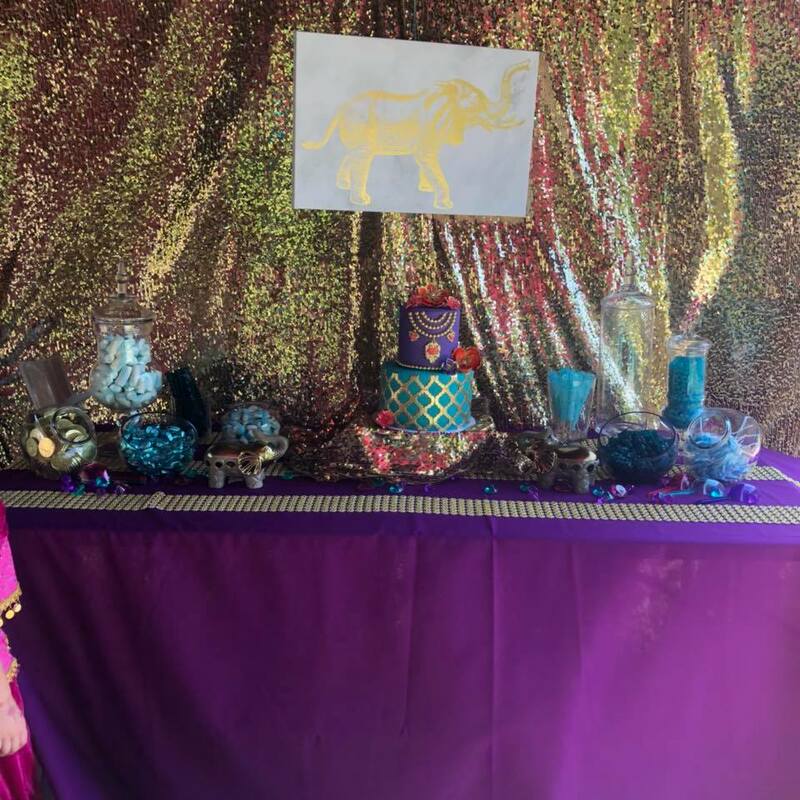 The cake was by the always amazing Singer Sisters Sweets! 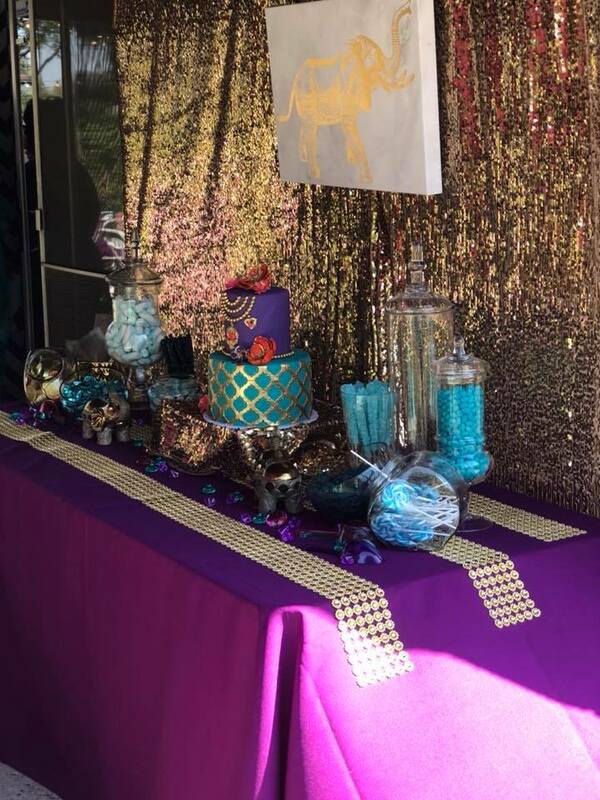 She really outdid herself with all of the gold accents on the cake. 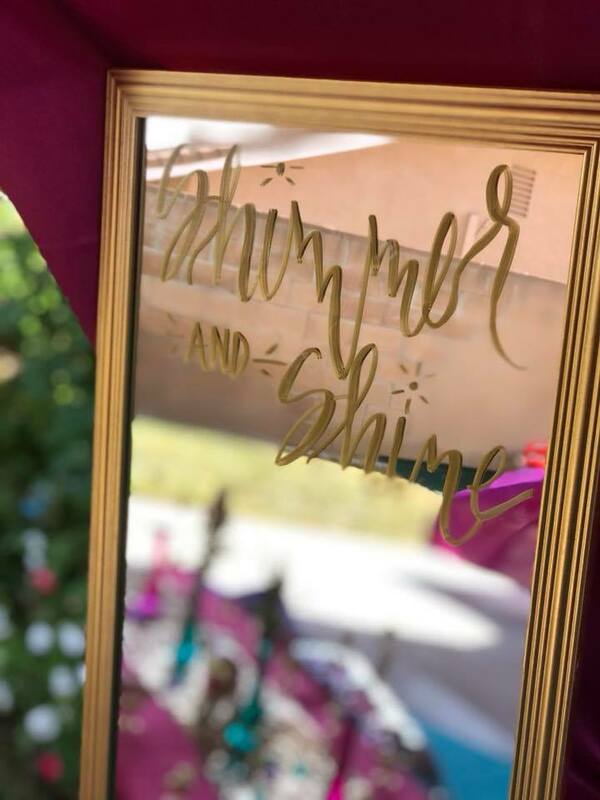 Our favorite things? 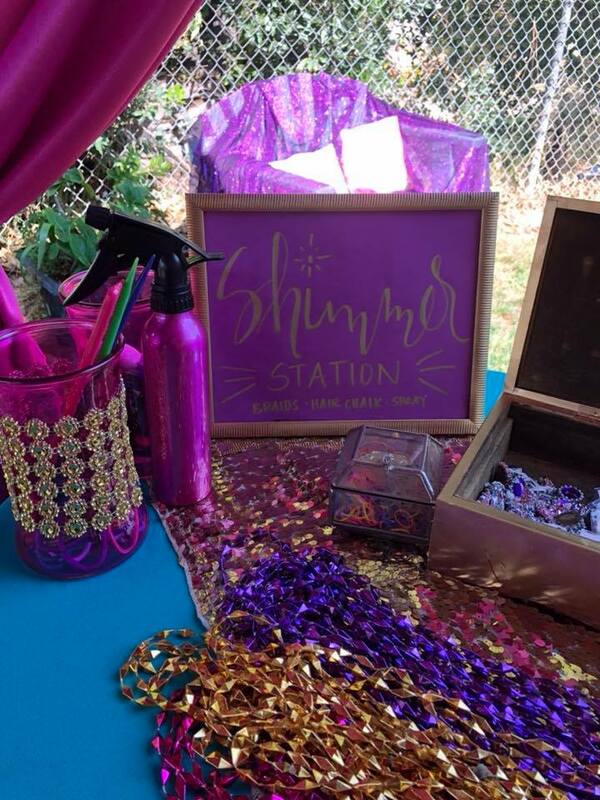 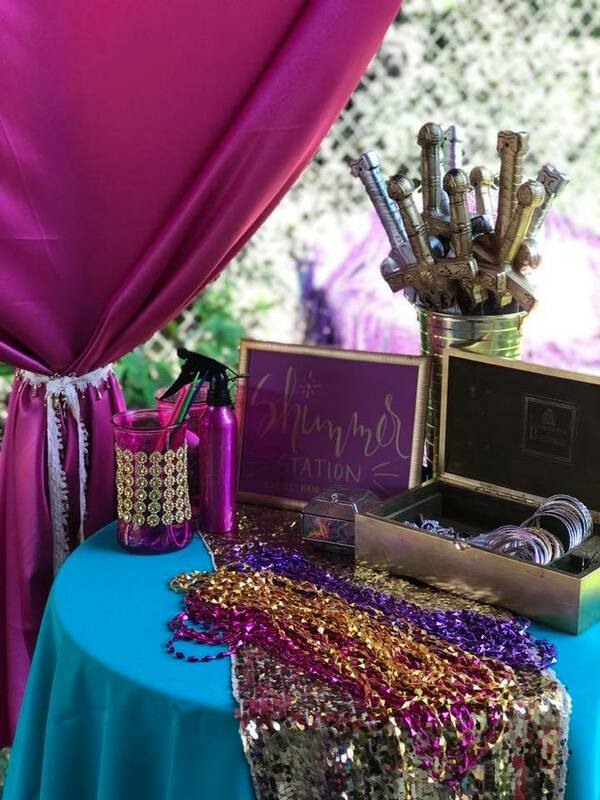 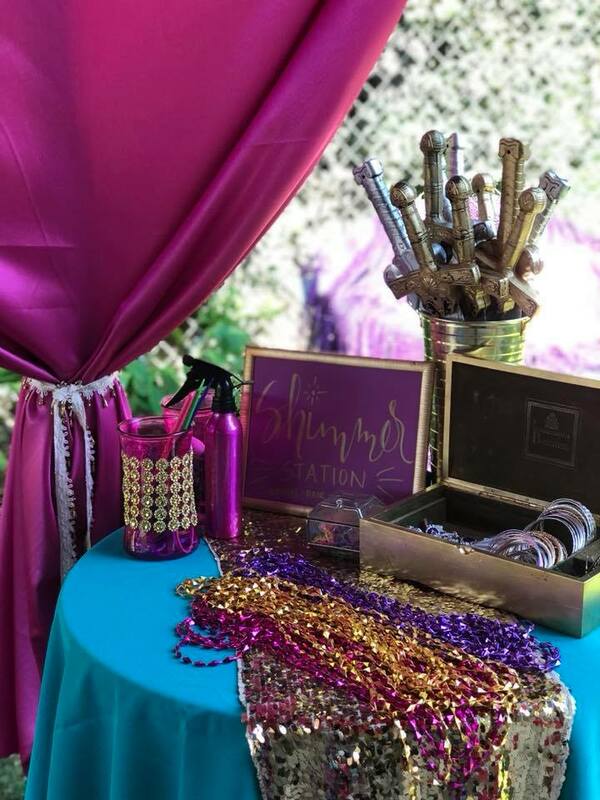 The glam stations! 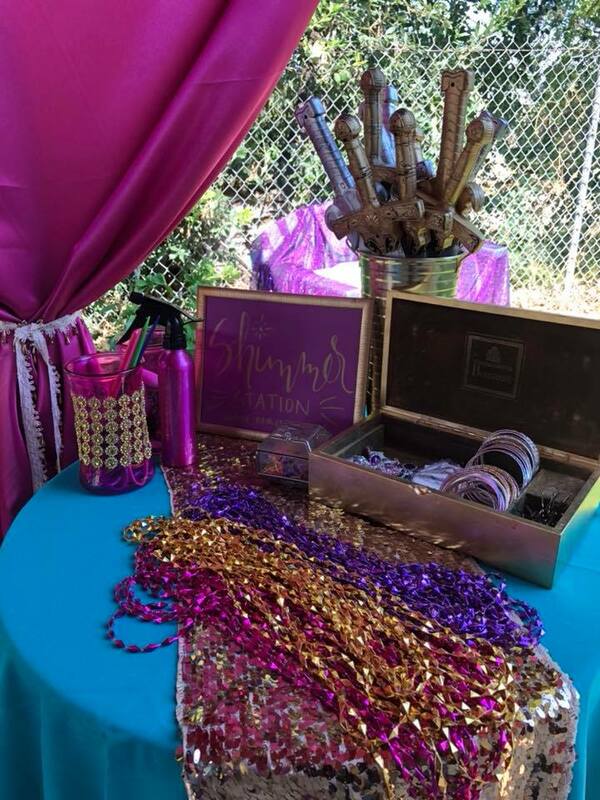 The girls were treated to jewels, bracelets, earrings and necklaces. 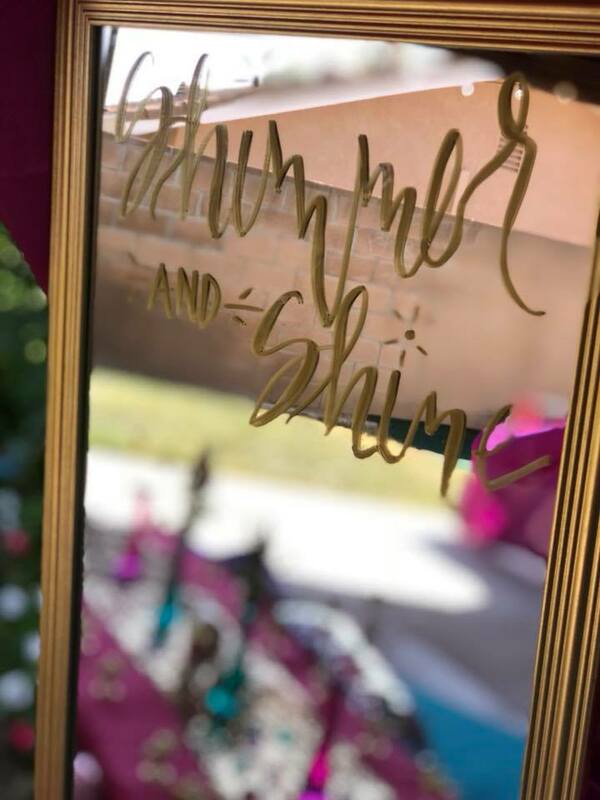 We also had hair chalk and glitter tattoos! 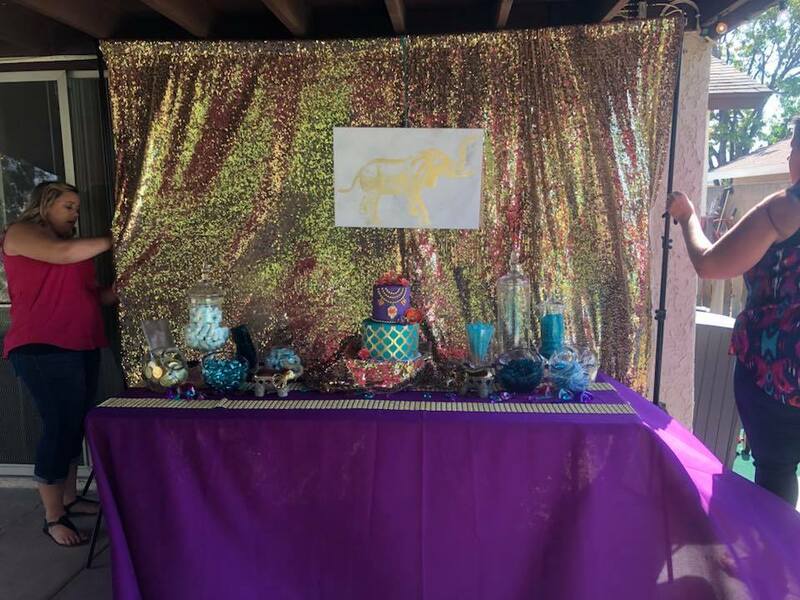 The low table was so fun when all the kids sat around it for the cake. 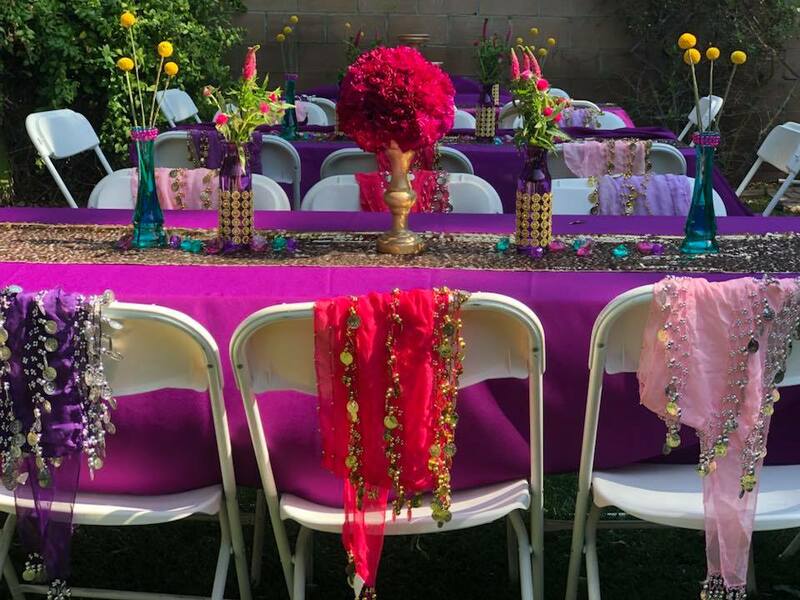 Would you believe that table was just a recycled door?